Anthony Castelli has participated in over 100 mediations as a party. He is now available to use his 30 years of attorney negotiation experience in resolving disputes to help you resolve your dispute in a manner that parties can live with. He focuses on helping you find a solution that meets or equals your best alternative to a negotiated agreement (BATNA). Resolution of your dispute through mediation can save time and money. Solutions can be reached that may not be possible through litigation. Anthony has been on the Hamilton County Bar Association’s Alternative Dispute Resolution Committee for over 15 years. He has attended multiple seminars in mediation. In particular, he completed Harvard Law School’s Program on Negotiation-Mediating Disputes. This was an intensive five day program limited to 50 participants. These participants were from all over the United States and from multiple foreign countries. Active role playing was conducted. This program taught mediation through understanding. Topics that were extensively examined were identifying issues, exploring the parties’ interests, generating and prioritizing options and developing solutions to meet the parties’ needs. Anthony has been active as a volunteer mediator for the Hamilton County Court of Common Pleas. He regularly volunteers his services on a monthly basis. Anthony is familiar with and uses multiple methods of mediation. One specific mediation technique of non-caucus mediation emphasizes the parties’ understanding each other’s views. The parties work through the underlying issues that could lead to a successful resolution. This is particularly useful where the parties may have an ongoing relationship such as business disputes, estate disputes, employee/employer disputes among others. Anthony seeks to utilize the method that parties are most comfortable with. He is comfortable with caucus mediation as well as non-caucus. Caucus mediation is where the parties may meet together initially but then are separated into different rooms. Although the parties are separated, it is still important for the mediator to get a complete understanding of each parties underlying needs and wants. Often these underlying interests can inform a satisfactory resolution. The uniqueness Anthony brings to the table is 30 years of experience in negotiating personal injury cases and Workers’ Compensation claims. Anthony seeks to facilitate as a mediator rather than impose his views. Anthony understands that if the parties feel that they are active participants that a final resolution will resonate favorably with them. He is comfortable dealing with injury victims as well as insurance companies. He is familiar with the law as well as the risks associated with personal injury and Workers’ Compensation litigation. It is the willingness to listen to the parties and not attempt to impose his own views that allows Anthony the flexibility to work with the parties, either represented or unrepresented. His training at Harvard included high level business disputes as well as disputes facing individuals in employment and multiple other situations. So his capabilities have expanded beyond personal injury and Workers’ Compensation dispute resolution. Anthony always wants the parties to keep in mind their best alternative to a negotiated settlement. It is that standard that an agreement should be measured against. Although many mediators would say that a good settlement is when both parties are not happy, Anthony respectfully disagrees. With the proper work, it is possible to forge an agreement where all the parties take control of their lives and craft a resolution that everyone thinks is fair. 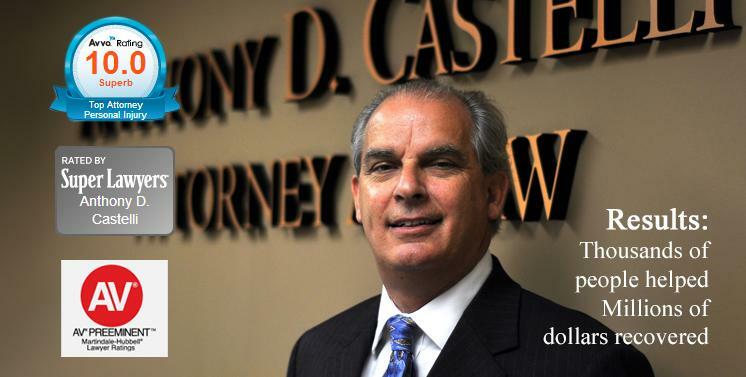 Anthony Castelli has had over 30 jury trials in his career as an attorney. He is fully aware of the stress and strain that trial imposes on the litigants. In addition, there are significant risks and costs that are incurred when a case has to go all the way through a trial. Additionally, the trial may not end the case. There is always potential for appeals from a decision or verdict. The benefits of hiring Anthony Castelli are that he seeks to understand the parties’ positions in detail. He clarifies and reclarifies the issues. This goal of clarity leads to understanding by the parties of each other’s positions and allows for more focused solutions that meet the needs of all the parties. As a lawyer, he is trained to grasp issues and craft solutions. You can be sure that you will be fully heard and understood before any resolution is made. Anthony seeks to find mutually agreeable solutions so that all parties feels satisfied by the result they agree to at mediation. Anthony, as appropriate, helps the parties examine a wide range of options. This allows for better outcomes. Finally, Anthony is efficient and economical. For mediations his charge is $200 per hour, regardless of the number of parties. 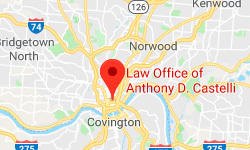 Give Anthony Castelli a call today to discuss whether he would be the mediator that would suit the needs of your dispute. Call 513-621-2345 . He is available to serve Greater Cincinnati and throughout Ohio and all of the United States. In addition, given the many international contacts he made at the Harvard Program on Mediating Disputes, he is available for international mediations.